Today from 7 pm to 9 pm at the Mid-Hudson Heritage Center located at 317 Main Street in Poughkeepsie. For more information call 845-454-0835. 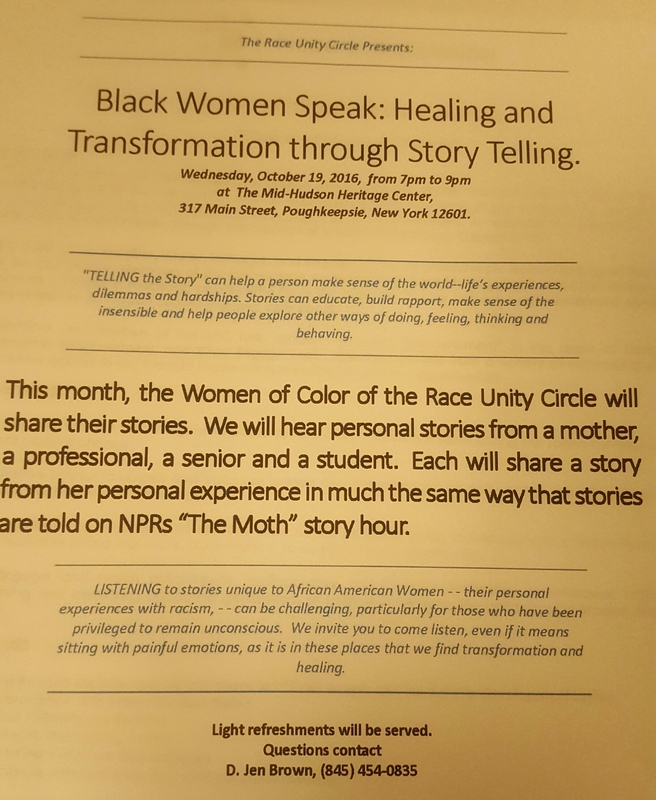 Posted in Events, Local Happenings and tagged Beacson, Black Women Speak, D. Jen Brown, Dutchess County Legislator Distirct 14, Legislator Francena Amparo, Poughkeepsie, Telling the Story, Wappingers Falls on October 19, 2016 by Dutchess County Legislator Francena Amparo. Please join us and collect trusted information so you can determine whether solar makes sense for you. Sign-up for a free, no obligation solar assessment and see what discounts and incentives are available to you. This is for homeowners, commercial, non-profit and apartment building owners. 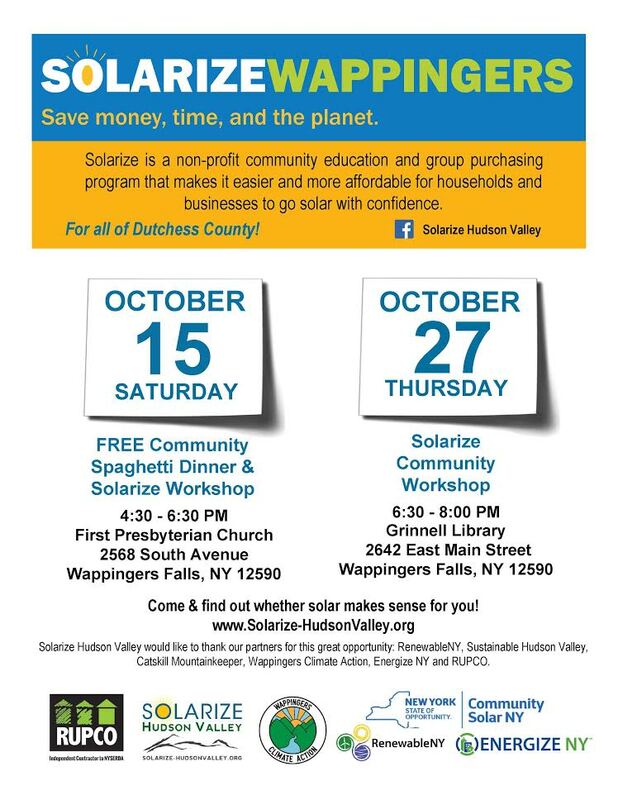 Posted in County Business, Local Happenings and tagged Catskill Mountainkeeper, Dutchess County Legislator Distirct 14, EnergizeNY, Legislator Francena Amparo, RenewableNY, RUPCO, Solarize Hudson Valley, Solarize Wappingers Falls, Wappingers Climate Action on October 6, 2016 by Dutchess County Legislator Francena Amparo. Transfer Admissions Event for Veterans at Mount Saint Mary College in Newbrugh June 1st from 1 pm – 7 pm. This is a one-stop event for veteran students interested in transferring college credits toward a Bachelor’s degree, or in starting a Master’s degree program. Questions? Contact us at 845-569-3223 or via email adultstudentadmissions@msmc.edu. Posted in Events, Local Happenings and tagged Dutchess County Legislator District 14, Francena Amparo, Mount Saint Mary College, Veterans on May 18, 2016 by Dutchess County Legislator Francena Amparo. 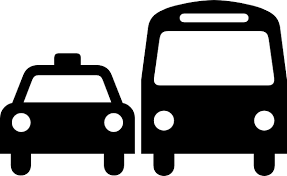 Transportation Interest: The Poughkeepsie-Dutchess County Transportation Council (PDCTC) will meet on Thursday, March 24, 2016 at 1:30 p.m. at the Henry A. Wallace Center at the FDR Presidential Library and Home, 4079 Albany Post Road, Hyde Park, NY 12538. 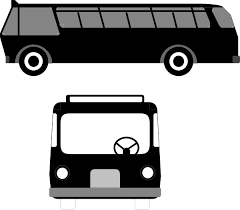 The Transportation Council will act on the Draft State Fiscal Year (SFY) 2016-2017 Unified Planning Work Program (UPWP), the new county-wide, long-range transportation plan, Moving Dutchess 2, and a series of resolutions related to federal transit funding. Meeting materials are posted on the Consolidated Calendar, and briefing packets have been mailed to Council members. Please RSVP your attendance and any request for special accommodations to Mr. Howard Spilke at (845) 486-3600 or hspilke@dutchessny.gov. Please contact me if you have any questions about the meeting. Posted in County Business, Local Happenings and tagged Francena Amparo, Legislator Amparo, Legislator District 14, meeting, PDCTC, Poughkeepsie-Dutchess County Transportation Council, transportation, Wappingers Falls on March 23, 2016 by Dutchess County Legislator Francena Amparo. Activities: Attended the democratic caucus meeting and hosted a public forum regarding the jail in the City of Poughkeepsie. Conducting extensive research on the SEQR process for the DCJTC/Jail Proposal. Uncovered conflict of interest concerns. City of Poughkeepsie should be be an involved agency every step of the way regarding this proposal. We need to seriously address the many environmental concerns and full environmental impact of the jail. Responded to various calls and emails regarding the county jail; FEMA; and local community events. Managed social media content. Posted in County Business, Legislative Report and tagged Dutchess County Justice & Transition Center (DCJTC), Dutchess County Legislator District 14, environment, Francena Amparo, Jail, Legislative Report, Legislator Francena Amparo, Wappingers Falls on March 14, 2016 by Dutchess County Legislator Francena Amparo. Activities: Attended the Legislative Committee Meeting of the Whole, the jail forum in Beacon and the Metro North Commuter Council Meeting. Met with the Girl Scouts in Wappingers Falls and participated a Raise the Wage event with 1199 SEIU. Conducting extensive research on the SEQR process for the DCJTC/jail construction. Responded to various calls and emails regarding the county jail; FEMA; and local community events. Managed social media content. 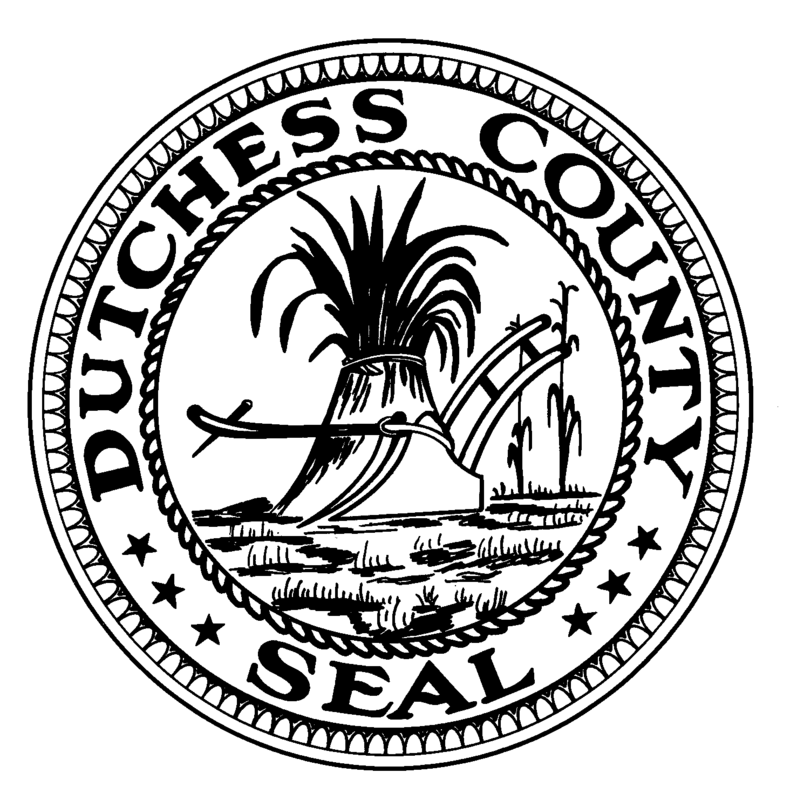 Posted in County Business, Legislative Report and tagged Dutchess County Legislator District 14, Francena Amparo, Legislative Report, Wappingers Falls on March 7, 2016 by Dutchess County Legislator Francena Amparo. Activities: Attended the Local Progress Conference in Albany. Conducting extensive research on the SEQR process for the DCJTC/jail construction. Still reading and reviewing the Expanded Full Environmental Assessment Form. Responded to various calls and emails regarding the county jail; FEMA; and local community events. Managed social media content. Posted in Uncategorized on February 29, 2016 by Dutchess County Legislator Francena Amparo.